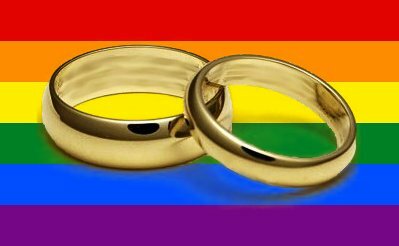 Yesterday, a majority of the presbyteries of the Presbyterian Church (USA) voted to amend our constitution to refer to marriage as between two people, traditionally a man and a woman. Here’s the wording: Marriage is a gift God has given to all humankind for the well-being of the entire human family. Marriage involves a unique commitment between two people, traditionally a man and a woman, to love and support each other for the rest of their lives. The sacrificial love that unites the couple sustains them as faithful and responsible members of the church and the wider community. This means that if individual churches and pastors choose to, they can perform gay weddings. I know that makes some Presbyterians afraid that we will lose members to more conservative denominations. That may happen. I understand their concerns. My concern is that we are true to our calling to follow Jesus and share the good news of God’s love with all people. And then this verse was full of joy for me. I know gay marriage makes some of us uncomfortable—we will have to get used to it the way we had to get used to divorced people being able to be married in church. It used to be that if divorced people were remarried, they couldn’t hold office in the church. Even today, some denominations will not serve communion to people who are divorced. My concern for gay marriage in church is a pastoral one. Most Presbyterian pastors routinely require pre-marital counseling as part of wedding planning; Justices-of-the-peace do not. Therapists and counselors offer it, but couples have to pay for it and plan for it, so not many do. Pre-marital counseling decreases the likelihood of divorce by a third or a half, depending on whose statistics you’re reading. During pre-marital counseling, I help couples identify their challenges, celebrate their strengths, and learn to work through conflicts about important issues (money, children, chores) when the conflicts are small. When I meet with a bride and groom, I talk with them about their spiritual lives, and it is a good opportunity for me to share the gospel with them. I want every couple to have a holy, healthy, and joy-filled relationship. Now that people who are LBGTQ can get married in Presbyterian churches, brides and brides and grooms and grooms too can have this benefit.